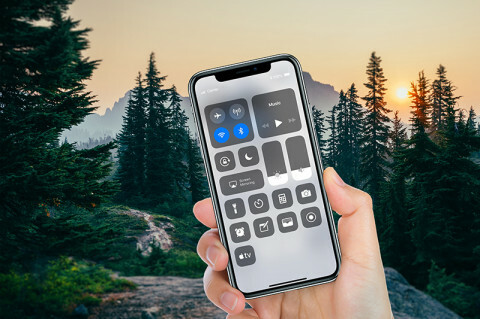 A frequent question from ViewRanger explorers is “How long will my battery last while using ViewRanger?” The answer depends on many things, including your phone model, its battery health and size, and how you use the phone and ViewRanger app when exploring. We live in an instant, need-to-know world. Like it or not, apps are constantly looking for new notifications, GPS locations, calls, tweets, and posts. This eats a lot of battery power. If you decide to keep some phone signals “on” while exploring, we suggest you fine-tune the advanced settings for each app on your phone. Turn off notifications. Turn off Location settings. All things considered, you can probably wait until after your country walk to learn about the new episodes of Stranger Things on Netflix. Or, can you? Download offline maps before you leave home. Then, you don’t need a mobile signal to view maps in ViewRanger. Plus, offline maps are just good to have stored on your phone in case you wander into a park or canyon with no mobile signals. If your phone’s screen is on, it’s using battery time. Reduce your phone’s screen brightness and put the phone into lock mode when not using to limit battery drain. GPS is notorious for eating battery life, especially if you’re collecting a GPS point every few seconds. Again, make sure you limit the number of apps collecting GPS locations in your phone’s settings. Another option is don’t record a track in ViewRanger, if battery power is running low. Instead, drop POIs at important locations and only record a track when you need more detailed help with navigation or need to see specific stats (like distance and time traveled). Battery packs are light, reasonably priced, and most can re-charge a typical smartphone at least once. We found battery packs are more convenient and dependable than portable solar panels too. Some manufacturers have released phone cases and battery add-ons for specific phones, like our partner Land Rover who designed a waterproof battery pack for its Explore Phone. * ViewRanger requires a GPS signal to show your GPS location on offline maps. 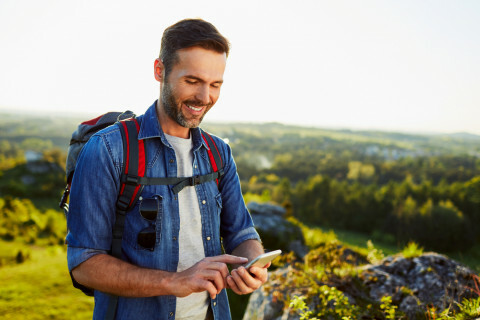 Some ViewRanger features require a data or WiFi connection, like streaming online maps and Buddy Beacon.